Russia's revival is changing the course of the modern world. After decades of slumbering underachievement, the Bear is back. Its billionaires now play on the global stage, buying up property, sports franchises, places at élite schools. Moscow exerts international influence not just with arms but also with a new arsenal of weapons: oil, gas, timber. On global issues, it offers alternatives to America's waning influence, helping broker deals in North Korea, the Middle East, Iran. Russia just made its first shipment of nuclear fuel to Irana sign that Russia is taking the lead on that vexsome issue, particularly after the latest U.S. intelligence report suggested that the Bush Administration has been wrong about Iran's nuclear-weapons development. And Putin is far from done. The premiership is a perch that will allow him to become the longest-serving statesman among the great powers, long after such leaders as Bush and Tony Blair have faded from the scene. But all this has a dark side. To achieve stability, Putin and his administration have dramatically curtailed freedoms. His government has shut down TV stations and newspapers, jailed businessmen whose wealth and influence challenged the Kremlin's hold on power, defanged opposition political parties and arrested those who confront his rule. Yet this grand bargainof freedom for securityappeals to his Russian subjects, who had grown cynical over earlier regimes' promises of the magical fruits of Western-style democracy. 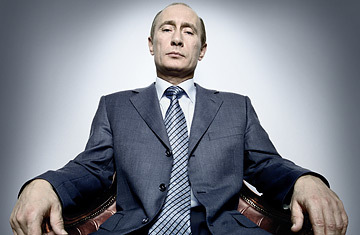 Putin's popularity ratings are routinely around 70%. "He is emerging as an elected emperor, whom many people compare to Peter the Great," says Dimitri Simes, president of the Nixon Center and a well-connected expert on contemporary Russia. To fully understand Putin's accomplishments and his appeal, one has to step back into the tumult of the 1990s. At the end of 1991, just a few months after Yeltsin dramatically stood on a tank outside the parliament in Moscow to denounceand deflatea coup attempt by hard-liners, the Soviet Union simply ceased to exist. Yeltsin took the reins in Russia and, amid great hope and pledges of help from around the world, promised to launch an era of democracy and economic freedom. I arrived in Moscow a week later, beginning a three-year stint as a Russia correspondent.